Maidenhead, UK – September 4th, 2018 – SDL (LSE: SDL), a leader in global content management, translation and customer experience, today announces a strategic partnership with DivvyHQ, a leader in integrated content planning, to help global brands centrally plan, create, translate and deliver marketing content. 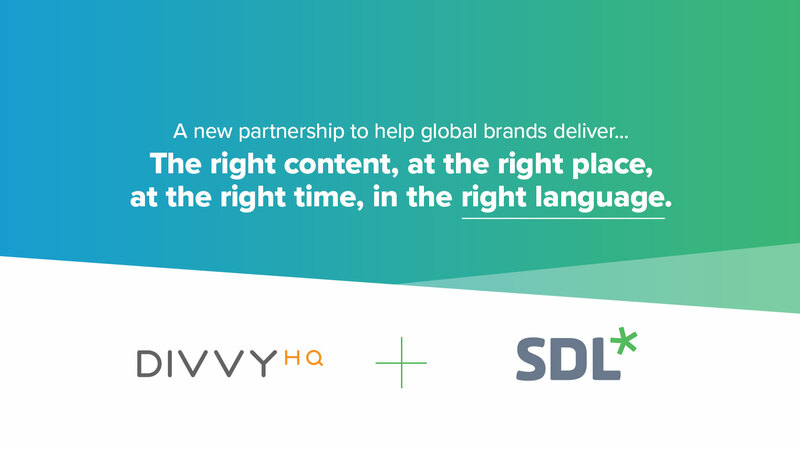 With both SDL and DivvyHQ working with the world’s biggest brands, the partnership will provide enterprise customers with even greater control of their content strategy, planning, and execution. 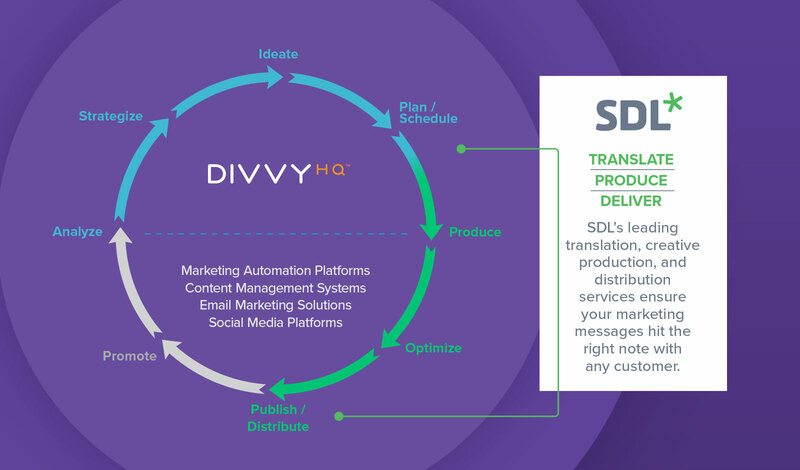 The collaboration combines DivvyHQ’s central content hub for managing integrated content calendars, initiatives and marketing campaigns, with SDL Marketing Solutions’ specialism in creating, managing, translating and delivering any type of marketing-related content across any device, channel or language. This will optimize the speed, quality and cost of doing business across the entire content supply chain. SDL Marketing Solutions is the specialist transcreation and marketing content production division of SDL, and helps global businesses overcome their content fragmentation challenge. The team help brands deliver culturally relevant communications faster, improving on-brand awareness across every media type and digital touchpoint. This combined with SDL’s web content management system, SDL Tridion DX, can also help customers publish content across any digital channel. DivvyHQ provides a content planning and production workflow tool for high-volume content teams. Its tool has been built to help marketers and content producers stay organized and successfully execute demanding and complicated content marketing and social media marketing. Customers include Red Bull, Mercedes-Benz, Lowe’s, Pfizer and H&R Block, to name a few. Brands interested in finding out more about the partnership are invited to join DivvyHQ and SDL on September 4th-7th, 2018 at the Content Marketing World Conference and Expo, Cleveland, Ohio. Krista Klaus is a business writer and communications pro based in Kansas City.